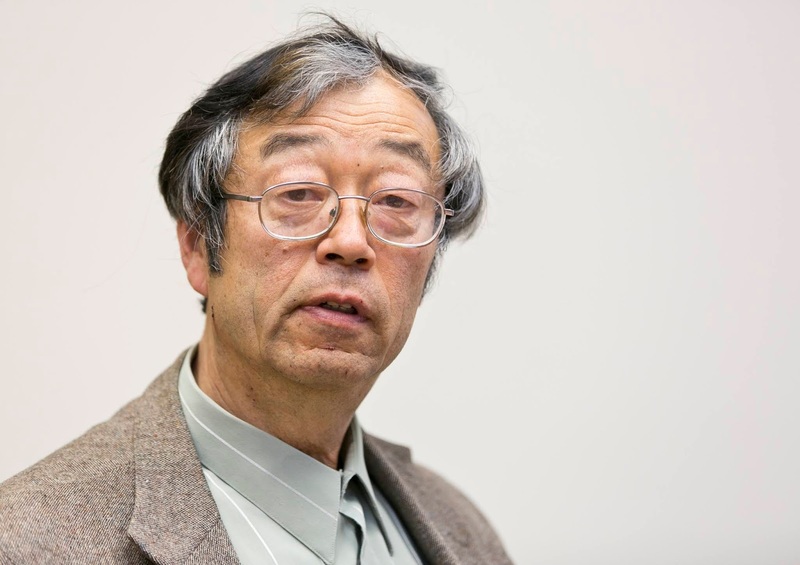 Who doesn't know Satoshi Nakamoto? Yep, he is the founder of the number one coin in the universe of cryptocurrency at the moment, namely Bitcoin (BTC) and also Satoshi is the founder of the bitcointalk.org forum which many people have been chatting with each other and discussing cryptocurrency in the forum. The shocking news is coming back to the universe of cryptocurrency in 2019. 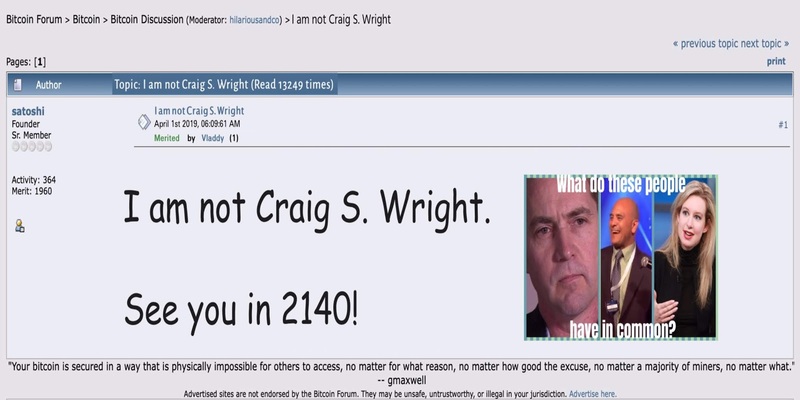 Right on April 1, 2019, Satoshi Nakamoto surprisingly made a thread on the bitcointalk.org forum by giving a statement, that he was not Craig S. Wright. The next statement is that he is still waiting for the last Bitcoin to be mining in the upcoming 2140 year. Then in the thread is inserted an image that makes people increasingly ask questions. It could be a code that can be solved to reveal who the real figure is behind Satoshi Nakamoto's name. If you feel curious about the account from Satoshi Nakamoto, here is the link to his profile account https://bitcointalk.org/index.php?action=profile;u=3. He made a statement when the price of bitcoin also increased, for approximately 6 months Bitcoin was at the level of 3400 USD / BTC or around 50 million IDR / BTC, now the condition is improving up to 40% in the number 4800 USD / BTC or around 70 million IDR / BTC. This of course makes the cryptocurrency market which has been weakening for a year, predicted to strengthen again in the near future. Behind the latest statement from Satoshi Nakamoto, of course, save some mysteries that must be revealed to ensure that Satoshi is still alive and he is not an Alien. It's very funny, calling Satoshi Nakamoto an alien, but if you understand the words "See You in 2140" that means Satoshi Nakamoto has an age that is not like in humans in general who can only live between 60 years to 80 years. If we assume when Satoshi Nakamoto was 35 years old in 2009, when he had the idea of creating Bitcoin, then in 2140 Satoshi's age should be 166 years. It shows that Satoshi made sure that he was immortal and most likely that he could live as long as it was an Alien. In other words, Satoshi Nakamoto could be an extraterrestrial trying to instill a new civilization on this planet. Then the next mystery is, when you understand the profile link from satoshi on bitcointalk.org, the profile number of Satoshi is 3, https://bitcointalk.org/index.php?action=profile;u=3, whereas if you change numbers 3 becomes number 1, https://bitcointalk.org/index.php?action=profile;u=1 it will go to the admin profile of the bitcointalk.org forum. Then if you change the last number to number 2 (https://bitcointalk.org/index.php?action=profile;u=2), then you won't find anything but the wrong page. This shows that previously there were users who used the account with code 2, and created an account in the forum before Satoshi made it. Because satoshi made an account in number 3. The latest information is that this article is a funny article, so the data above is not entirely correct. They use the inspect element feature to fool you. Don't be a fool and keep moving forward. Don't be a person who easily believes in false news. The purpose of this article is just to refresh the brain and mind so that you are not too bothered to think of assets that are always shrinking. "Science is a doctrine of scientists so that they can easily control the world, the purpose of science is that we want to believe in a statement, even though it is beyond our reasoning and we believe in that knowledge. Now , do you trust scientists in ancient times or do you trust your own experience more? "